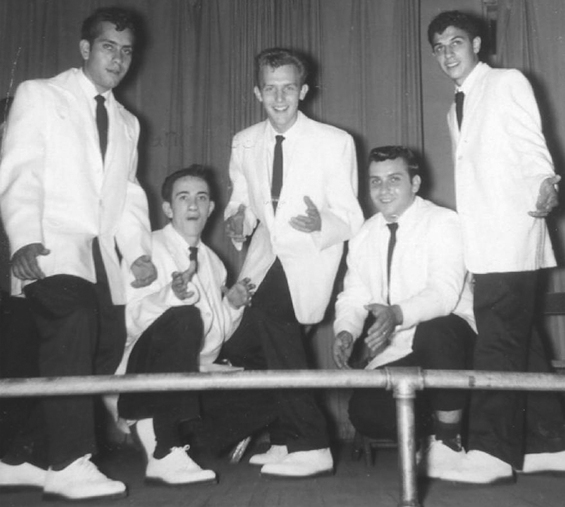 One day in 1957, five street-corner doo-woppers decided to get in on the action as the Mon-Vales. Without any agent , they cut a demo tape at Sadowski's Market in Fairhope, which had a top notch, cottage industry recording studio in its basement. The instrumental tracks were laid down by another local band, Donora's Highlighters. Next came the hard part, peddling the songs to a record company. They began to door-knock on Record Row, demo in hand. Pen Joy Records on 45th Street liked the tape - it consisted of "Why Should I Cry?," "Jump Crybaby," "Carol-Ann," and "Cool Kat And His White Bucks." 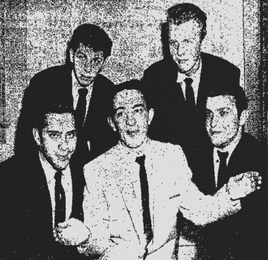 "Carol-Ann" b/w "White Bucks" (Pen Joy #501, released 1958) was spinning on Porky's turntable, and the Mon-Vales had a local two-sided hit. They playing clubs there and in the Boston area, all the time honing a frenetic stage act. They even got to play one of Alan Freed's Rock and Roll shows. The Mon-Vales came home to a busy schedule of hops, high school dances, and the local club circuit. 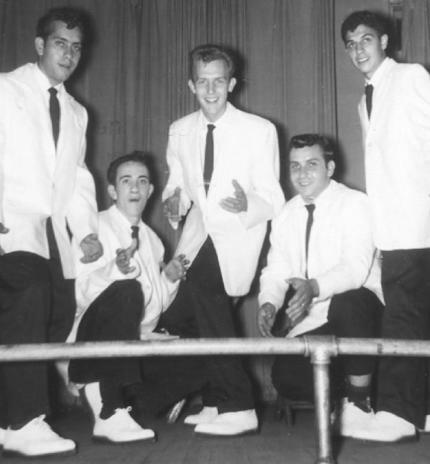 Their high-energy act was center stage at the Stockdale Fire Hall, the White Elephant, the Monessen Italian Club, and the Greensburg Fire Hall, plus whatever Mon Valley gyms or social halls would have them. Carol Ann "Cool Kat And His White Bucks."